area bordered by Fallbrook to Shoup, Oxnard to the LA River north of Vanowen. against the house or within the bushes. more loners and neater about their encampment. still clear of homeless when we checked it out. stealth, neater, and not cause an issue that will create a scene. and not as confrontational as I've encountered in other parts of the valley. Volunteers that had no team! Some came back in love and will do this next year as a couple???????????? Just a joke and u don't have to put it!!! We did it again. Second year in a row with a strong turnout to get the job done. Tom and June did a truly phenomenal job on organizing all the moving parts. And the Homelessness Committee...such support is truly uplifting. People care about people and our community. 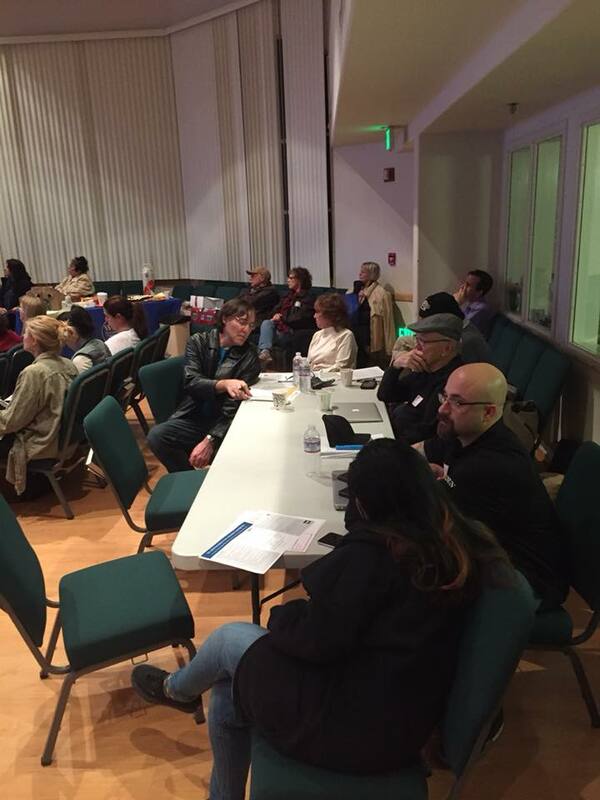 No matter what the opinions were, we all came together to assess the scope of homelessness in West Hills. Hopefully, our investment in personal time will work toward ending homelessness in West Hills and in all of Los Angeles. Thanks to all who helped out! For the second year in a row, the West Hills Neighborhood Council and the community came together out of concern, compassion, and caring for all who live in our Neighborhood! Thank you to the Homelessness Committee and to all who turned out to help get needed services to those most in need in our community! West Hills lived up to its reputation yet again by coming together to address the needs of our community. The 2018 West Hills Homelessness Count was a marvelous example of the efficiency, hard work and dedication we have come to expect from the members of our West Hills Neighborhood Council’s Homelessness Committee. Thanks to their efforts, we were able to organize, feed, train and dispatch scores of volunteers from West Hills, Canoga Park, Porter Ranch, Chatsworth and Woodland Hills. Together, we showed we are a community of public spirit and compassion! Participating in the 2018 Greater Los Angeles Homelessness Count was a truly eye-opening experience. Stereotypes went right out the window as my team gained a new appreciation for the depths of transient living in our area. From the middle aged man in a sleeping bag reading a newspaper under a sidewalk streetlight behind the car wash on Victory… to the young couple setting up a large tent and campsite on the horse riding path off of Oxnard… to the four separate tent or sleeping bag sites set up throughout Shadow Ranch Park on Vanowen… to the van full of youth in their late teens and early twenties that stocked up on snacks from the 76 Gas Station on Fallbrook before settling in for the night on a dark and quiet residential street off of Sherman Way… we witnessed not mental illness and addiction… but the circumstances of life that would lead Angelinos to spend a cold January night out on the streets of West Hills / Woodland Hills.